Narrow.io is an app that helps you build a community of targeted Twitter followers by letting you engage with people who could be interested in your product. Narrow was created by Jerad Maplethorpe. The app is simple and easy to use, you just need to enter the targeted keyword or hashtag and it will identify the people who are talking about it and are relevant to your business. This way you can make sure you are following the targeted users. It favorites the targeted tweets and follows the targeted people automatically according to the criteria you decide. If the accounts you have followed do not follow you back within 24 hours, Narrow automatically unfollows them on your behalf. 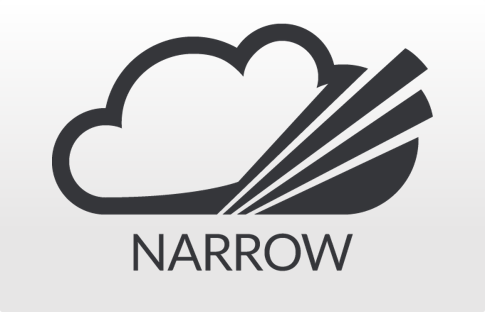 Narrow offers a basic package which you can use for a single account at $19 per month. For multiple accounts, Narrow offers the Pro package that you can buy at $49 per month, you can use it for 3 accounts. Also, there is a Business plan that can be used for up to 10 accounts and will cost you $99 per month. Narrow also offers free trial for 7 days. It has a clean and simple Dashboard. 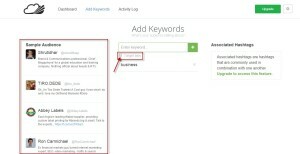 It allows you to enter the specific hashtag or keyword to find the right users. There is no limit on the number of keywords that you’re allowed to use. Narrow identifies the right audience relevant to your business on the basis of specific keywords, hashtags and locations and attracts them towards your profile. 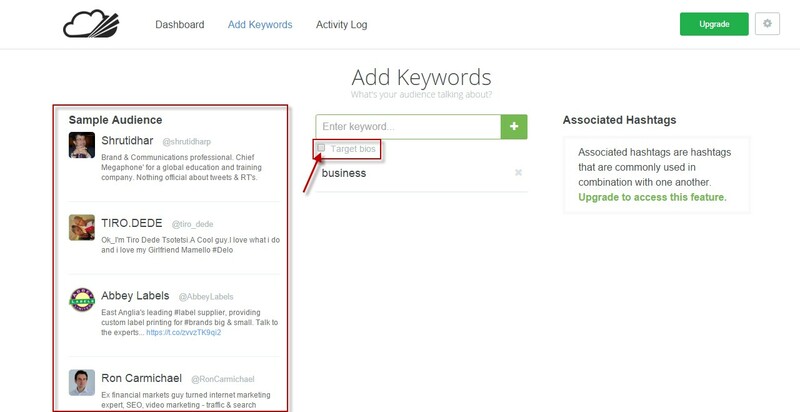 It allows you to select whether these keywords are required to appear in the users’ bios or tweets. You can preview target audience for a keyword and remove it if the results are not what you expected. It also shows associated hashtags commonly used in combination with the targeted hashtag. Narrow provides analytics to help you track the performance of your keywords so that you can get better insights into which keywords work and which don’t. After you have defined your target audience, Narrow will automatically start engaging with relevant users with intelligent automation. Analytics and insights let you understand your audience. Allows you to manage multiple accounts. Allows you to narrow in on the most relevant targeted users. Uses intelligent automation to connect with relevant audience. The app’s execution is slow. You might end up following undesirable accounts and in turn degrading your Twitter experience. Narrow’s existing users seem quite satisfied with the product as it really does deliver what it promises, a rise in targeted Twitter followers. A good thing about this tool is that you can measure the performance of the keywords used and remove them if they aren’t working well for you. It saves your time spent in engaging with other Twitter users to attract them to your profile. One might find it too costly but if your top priority is getting more followers, this app is totally worth it. For more details, please visit: Narrow Website.